Help Baiju Nambayil Who Is Struggling for Life. 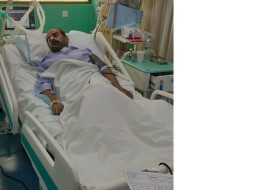 It was a devastating evening for 42-year-old Baiju and his family, when Baiju collapsed in his house on 22nd May on the day of his marriage anniversary. Baiju was rushed to nearby Sakara World Hospital and was admitted in ICU. Hospital doctors informed us there is no heart beat and first aid attempt was done to recover his heart. After 20 minutes of struggle his heart started functioning slowly. Meanwhile his brain and other vital parts failed due to lack of blood circulation. After 20 days of intense medical treatment his ventilator support has been removed but his brain hasn’t recovered. Baiju had a blockage in his heart and angiogram was done 3 months back. Baiju came back strongly until this incident happened. Baiju requires continued monitoring in ICU and further treatment which would cost up to Rs. 12 lakhs. His family is devastated and sole earner of the family. His helpless wife is a home maker and is struggling to bear his further expenses. Baiju’s father has passed away and his wife Sapna is making every possible effort to get her loving husband on the road to recovery. His family has nearly exhausted most of their savings in his treatment so far and require the support and prayers of all friends and family. 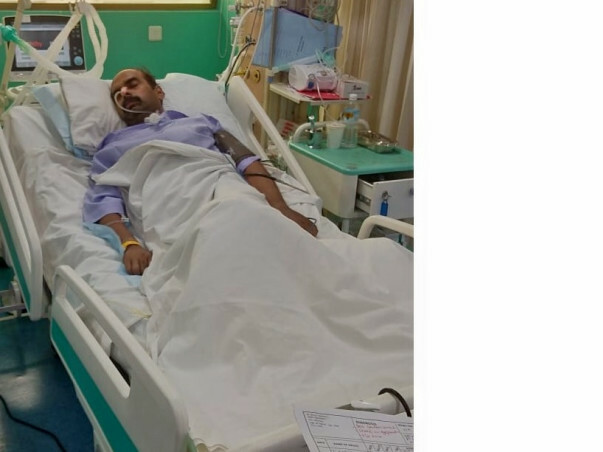 It is a lengthy battle till recovery for Baiju, please help the family at the time of their need because all that this wife should worry about is Baiju’s health and not his hospital expenses. We are overwhelmed with the love and support blessed on Baiju. He is presently in his hometown Calicut, getting treated with physiotherapy and occupational therapy. He has not improved much but as per the doctors it will take some time to heal and improve more. Thank you all for the love and support! Please pray for his health. Thank you all for the support. 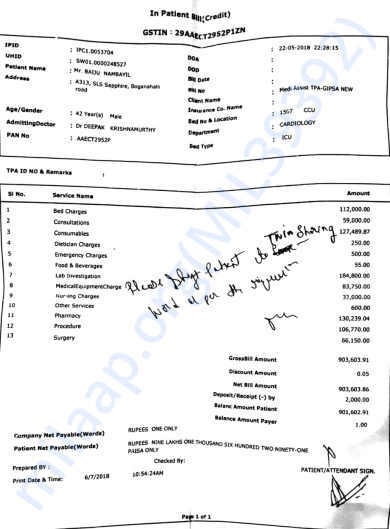 We have already transferred INR 9 Lakhs for clearing the existing hospital bills. This has provided huge relief to Bajiu’s family in managing the hospital expenses and they have expressed their gratitude to all the fundraisers. Baiju is still under Physio and Occupational therapy treatment and he is showing some signs of recovery. Baiju’s family members have decided to shift him to Vellore Institute of Medical Science (VIMS), Vellore within the next few days for further treatment. We will be closing this campaign by 15th August. Please share this information with the community to help us to reach our goal. Thank you all for your overwhelming support. We have already transferred INR 4 Lakhs for clearing the existing hospital bills. This has provided huge relief to Bajiu’s family in managing the hospital expenses and they have expressed their gratitude to all the fundraisers. Now their focus is only on getting Baiju back to normal. Baiju is currently under Physio and Occupational therapy treatment for the last 15 days and he is showing hopes of recovery. Let us continue our prayers for Baiju.